Welcome to this week's Finance Fridays. Last week we were looking at Christmas home insurance and this week we're getting connected. With Christmas just three weeks away today (yes, really!) many people will be unwrapping a shiny new mobile phone as a present. 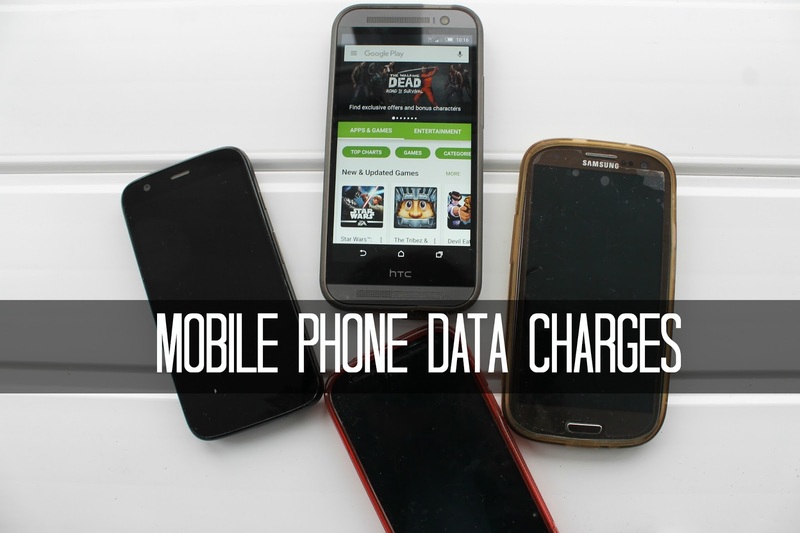 Whether you put in a Sim card from an existing contract or it's a new pay-as-you-go phone there's some things you need to sort out before you get hit for costly data charges. iPhone Wi-Fi Assist – When the iOS 9 update was released earlier in the year it included a feature that meant if you were out of Wi-Fi range it automatically switched over to mobile data. While most users have now switched this off if you find a new iPhone in your Christmas stocking don't forget to disable it. Just go to Settings > Cellular > Scroll down and swipe the Wi-Fi Assist button to 'off'. Picture Text Messages – If you have have a monthly contract you will probably find it includes a large number of free standard text messages. Do be aware that some handsets like to convert text messages from a free SMS to a chargeable MMS picture. Usually this happens when the text message is over 160 character limit for a single text message. Check in the phone's settings to change this. Background data – If you switch on your mobile data to check on a few emails this in turn will set your phone off to look for information on other apps you have installed. Facebook, Twitter, Instagram and Periscope are apps that will be eating away your data without you knowing it. To stop this go into your Data Usage settings and you can see which apps are the most data hungry. You should have the option to restrict background data on individual apps. Streaming videos – Unless you have the now rare luxury of unlimited data or an extremely high data allowance then don't even think about streaming videos and that means YouTube, iPlayer, Amazon Instant Video and any other video services. Auto-update apps – Barely a day goes past without a bunch of app updates coming through. If you have set them to update automatically do it so it is only over Wi-Fi. Back up photos – One thing we all love about mobile phones is the ease of taking photos. If you back them up to some type of cloud server make sure your settings are for doing it over Wi-Fi only. Download music – If you like to listen to music while you're out and about forget about streaming music services such as Spotify and Vine but download to your phone's memory or SD card. Remember if you buy an actual CD from Amazon you now automatically get a free digital version of it which can be accessed and downloaded from the Amazon Music app. Data roaming abroad – If you're off on your holidays or a business trip sort out your overseas data allowance before you go. Alternatively turn off data roaming, download any music or programmes beforehand and only use trustworthy Wi-Fi spots. If you do need to use a lot of data look into buying a compatible local Sim card. Have you ever been hit by costly data charges? Do you have a cap on your data usage? If you want to join in with this week's Finance Fridays then add your link to the linky below. Any post concerning financial matters is allowed. Full details here. It doesn't have to be published today as you have until 23.55 on Tuesday 8th December 2015 to join in. Grab my badge below for your blog post. I haven't been hit by a big charge but I'm always confused when I go away and worried I might get a big bill. I always worry while I'm away too incase I get hit with a large charge. I turned off my wifi assist although I should be ok in the uk as have unlimited, but I thought I'd be bound to forget it if we went abroad. That iPhone wifi assist tip is definitely useful to avoid getting caught out! Really useful advice - particularly the wifi assist tip. Thank you. Some great tips _ I am always well within my limits, but my eldest keeps going over hers! Some really useful tips there - I keep going over my limit which is annoying as I've just started a new contract. I suspect it's YouTube though so I must stop doing that! I've been travelling all year and as such I no longer have a 'proper' contract for my phone and the data charges when I PAYG are just ridiculous, so thank you for these tips I'm going to have to try some of them out!